You are here: Home / Marketing / SEO / Google Vs Bing – Google By Choice or by Compulsion? Google has gone too far with over optimization penalty. I am sure every Webmaster who has been hit by Google would say those things after each update but today I am going to speak from Google’s users point of view and not from a Webmasters point of view. Last few days I have been reading lot of articles all over the Internet about the impact of over optimization. Webmasters will talk more about impact on traffic but when you are talking from user’s viewpoint then what matters is the quality of search results. 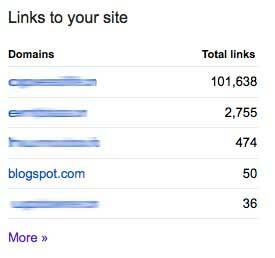 Google has been penalizing so many sites that many queries started pointing to parked domains or blank page websites. Searching in Google for the term Make Money Online leads to parked domains and blank pages in the top search results. Check out the article High Quality Empty Content Pages by Aaron Wall. 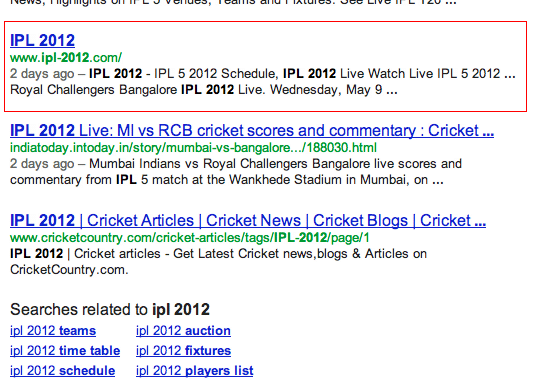 Few more articles on bad Google’s search results. Is Bing a Solution or a Bigger Problem? Now you tend to get the feeling it is time to move to Bing but then I did not find satisfactory results with Bing either. In fact Bing disappointed me more than Google yet again. 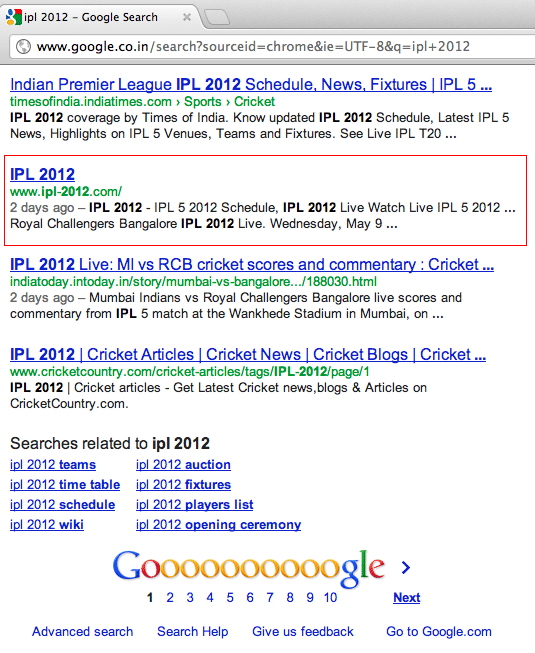 Indian Premier League or IPL 2012 is undoubtedly one of the trending terms now and if you search IPL 2012 in Google, I see a site on the first page of Google and it is ranked on 8th position. Remember we are talking from view point of Google customer and not from view point of Webmaster and so I will not analyze the site for keyword research or link analysis because that has been done by most of the links I shared above and so let us visit the site as Google’s user. 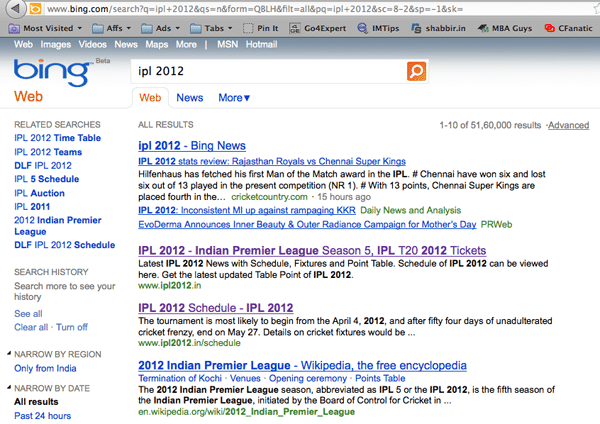 Now I searched the same term IPL 2012 in Bing and this is what I see. 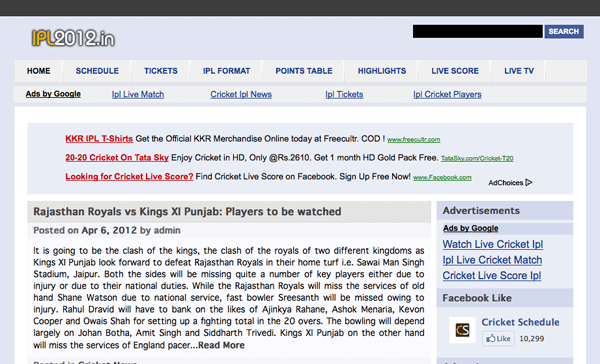 Not even worth discussing because the official site IPLT20.com is not among the first 3 results and some WordPress site on .in domain is top of the list even beating Wikipedia. Are you Google-ing By Choice of By Compulsion? Are we Google-ing by Choice or by compulsion? Sound off your choice in comments. i think what google is doing is right and also wrong some sites lost ranking even when they had rich keywords for their search terms. Google is always trying to do what they think is right for their users (read customers) but at times they may not be doing it the way that takes care of all the search queries. No matter what I prefer Google over Bing. I don’t use Bing due to the lack of the search results. I still voted for By choice because there are some hiccups in some search terms but then it is still the choice of majority of internet users. What I could sense is the process of dethroning of Google has started and it has to be Google itself that can dethrone Google.